The breadth of knowledge and experience our attorneys have creates opportunities to assist clients in a wide variety of matters including the buying and selling of businesses and real estate, crafting comprehensive estate plans, structuring transactions, developing succession plans, consulting on tax issues, and making general business decisions. These opportunities often develop into lifetime client-attorney relationships, spanning many decades. LaValley, LaValley, Todak & Schaefer Co., L.P.A. (LLTS) was founded by Richard G. LaValley, Sr. in 1971. After practicing in both a public accounting firm and law firm setting, Mr. LaValley founded his own law firm and utilized his legal and accounting background to assist individual and business clients in addressing the myriad of issues they face. He also taught federal income tax at the University of Toledo College of Law, received the Distinguished Lawyer Award from the UT College of Law in 1997, and was an active member of the Toledo, Ohio State, and American Bar Associations along with the American Judicature Society. 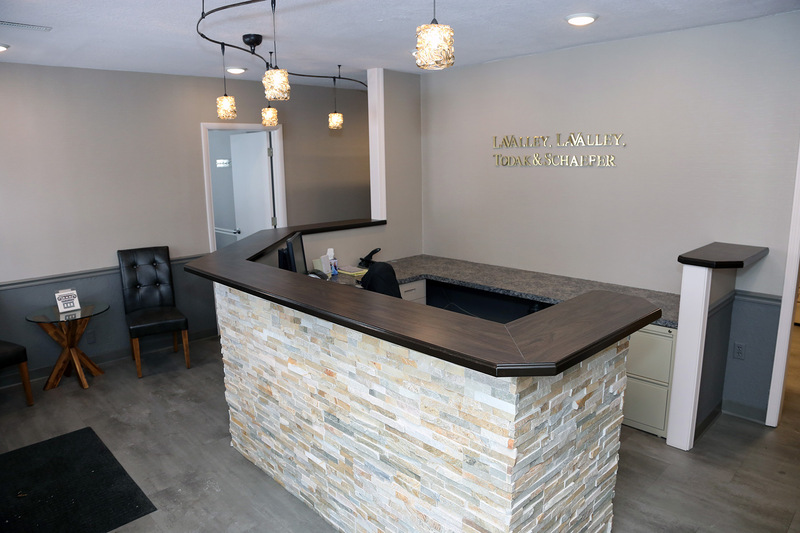 What started as a family owned and operated law firm has developed into a community staple that employs attorneys with the same moral compass that Mr. LaValley founded the firm with 47 years ago. The eight attorneys at LLTS have created lasting relationships with businesses and individual clients alike from practicing law with honesty and ethics. We take pride in our ability to grow with, guide, and adapt to each client’s needs. As a client’s business interests transition through time, we are there to provide needed legal services, including entity formation, business acquisitions, sale or transfer, reorganization, and succession planning. Among the areas of practice at LLTS are business transactions, taxation, real estate, trust and probate administration, business planning, and estate planning. In addition to the needs of our business clients, LLTS works with individuals to help them develop and implement estate and life plans that meet their current and future needs. We practice in all aspects of estate planning including living trusts, charitable giving, asset protection, and health care documents in order to ensure our clients’ goals are achieved. At LaValley, LaValley, Todak & Schaefer Co., L.P.A., we customize and craft individual documents, such as wills, trusts, and powers of attorney, into an overall estate plan that helps our individual clients achieve their wealth transfer, asset protection, charitable giving, and tax planning objectives.